The BJP has postponed to tomorrow its meeting of party MPs held every Tuesday when parliament is in session. Many parliamentarians, sources said, were involved in hectic electioneering in Gujarat and Himachal Pradesh and the meeting was rescheduled to give the party a day to regroup. The BJP has won both states in results announced yesterday and will send central observers to oversee the naming of chief ministers. The BJP swept Himachal Pradesh, snatching it from the Congress and taking the total of states where it is in power to 16. With 44 seats, it has won almost a two-thirds majority in the 68-member Himachal assembly, but awkwardly, its presumptive chief minister PK Dhumal lost his election. This means that the party will have to appoint someone else. BJP chief Amit Shah said on Monday that the party's highest decision making body, the parliamentary board, would decide on who would be Himachal chief minister. The party had announced Mr Dhumal as its chief ministerial candidate in a departure from its usual strategy of not naming anyone for the top post during the campaign and seeking votes in the name of Prime Minister Narendra Modi. The parliamentary board of 13 top leaders including PM Modi and Amit Shah met on Monday evening and picked union Finance Minister Arun Jaitley and the BJP's general secretary Saroj Pandey as the party's observers for the selection of the chief minister in Gujarat. During the Gujarat election campaign, Amit Shah had said that incumbent chief minister Vijay Rupani was the party's face in the state. Mr Rupani remains the front runner for chief minister, sources said. He contested from Rajkot West, a BJP safe seat from where PM Modi had contested as Gujarat Chief Minister in 2002. Mr Rupani won by a margin of 25,000 votes against his Congress rival Indranil Rajguru. Union ministers Nirmala Sitharaman and Narendra Singh Tomar will be the party's observers for Himachal Pradesh, said union Health Minister JP Nadda after the parliamentary board meeting. The two Himachal observers will meet with Amit Shah today. "They will speak to the MLAs to elect new leaders of the party," said Mr Nadda, who could be in contention for the post of Himachal Pradesh chief minister. 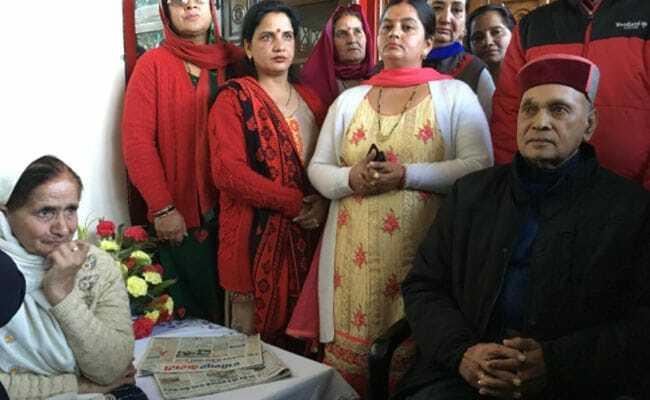 Varinder Kanwar, one of the BJP lawmakers who won in Himachal Pradesh yesterday, has offered to vacate his seat Kutlehar in Una district, to allow Mr Dhumal to contest from there and be chief minister. Mr Dhumal, who accepted defeat even before the counting process was completed, hasn't indicated if he will take up the offer. He is believed to be waiting for a hint from the central leadership to confirm that he is still in the reckoning for the state's top job. A two-time Chief Minister, Mr Dhumal, 73, reportedly wanted to contest from his home turf Hamirur but was told to stand from a constituency near his own, Sujanpur. He lost to the Congress's Rajendra Singh Rana, who had won from Sujanpur even as an independent. Some of Mr Dhumal's supporters allege this was a ploy to clear the way for other CM hopefuls in the party. 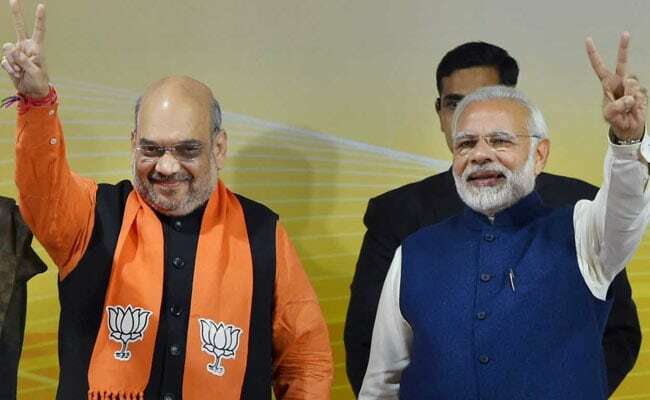 The BJP's parliamentary board met last evening at the party's Delhi headquarter after PM Modi's victory speech, where he called the party's 2-0 win against the Congress an indication that the country was ready for "reform agenda as every citizen wants India transformed".